The House of Lords has established an Arctic Committee, with a remit to “consider recent and expected changes in the Arctic and their implications for the UK and its international relations”. The Committee has already started taking evidence, and has just issued a call for written submissions. The UK has more of a natural claim to be interested in the Arctic than many probably realise: it is the northernmost country outside of the eight Arctic States, with the northern tip of the Shetland Islands being only 400km south of the Arctic Circle. The House of Lords’ interest largely stems from the rapid environmental changes evident in high northern latitudes, which are warming at least twice as quickly as the global average (Jeffries et al., 2013). In fact, as I argue in my recent commentary published in The Geographical Journal, the Arctic is almost uniquely susceptible to rapid change brought about through climate warming, mostly as a result of strong, positive feedbacks driven by the loss of snow and ice (Hodgkins, 2014). A greatly more accessible, ice-free Arctic Ocean particularly holds out the prospect of significant geopolitical change in the high North in the coming decades. Given current tensions between Russia and the west, this change may not necessarily be achieved harmoniously. Our response to a changing Arctic should of course be informed by thorough understanding, free from assumptions, misconceptions or fallacies. It should not therefore be assumed that warming, by ameliorating the Arctic, will necessarily “improve” its environment or ecosystem. 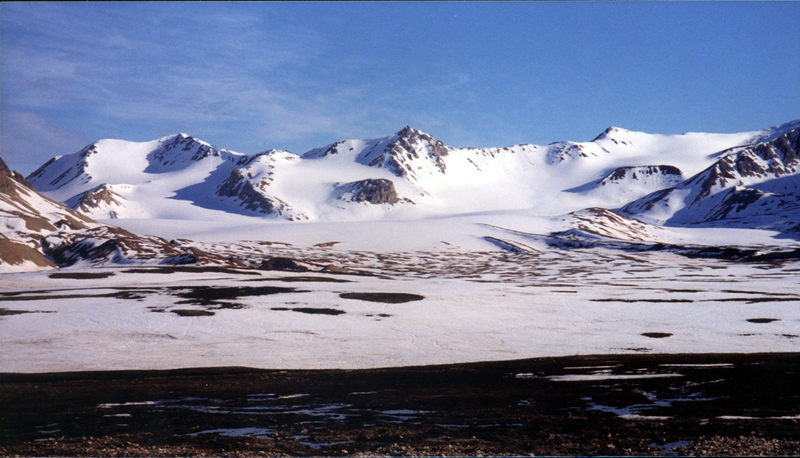 For instance, sea ice loss, warmer sea-surface temperatures and greater accumulation of freshwater are likely to stratify the ocean, preventing the free cycling of nutrients from shallow to deep and actually limiting biological productivity: “A warming Arctic… will simply be an ice-free version of the desert it already is” (Economist, 2013). Furthermore, the strong, positive feedbacks of “Arctic amplification” ensure that the actual atmospheric temperature increase in high northern latitudes will be much greater than the global average. Under a business-as-usual scenario, a mean 3.7°C global average temperature increase is likely by the 2090s. This implies a warming of 9°C over large parts the Arctic (IPCC, 2013). This rate of warming – which is not a worst-case scenario – exceeds anything previously encountered during human occupation of the Arctic. Terra incognita et mare incognitum, our response to the changing Arctic cannot be anything other than unprecedented; it’s to be hoped that it’s also wise. About the author: Dr Richard Hodgkins is a Senior Lecturer in Physical Geography at the University of Loughborough. The Economist. 2013. Tequila Sunset. Hodgkins, R. 2014. The 21st-century Arctic environment: accelerating change in the atmospheric, oceanic and terrestrial spheres. 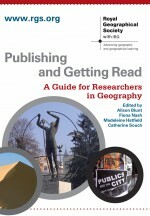 The Geographical Journal, in press. IPCC (Intergovernmental Panel on Climate Change). 2013. Summary for Policymakers. Contribution of Working Group I to the Fifth Assessment Report of the Intergovernmental Panel on Climate Change. Jeffries, M., Overland, J., Perovich, D. 2013 The Arctic shifts to a new normal. Physics Today 66, 35‒40. This entry was posted in The Geographical Journal and tagged Arctic, Arctic amplification, Climate change, cryosphere, House of Lords Select Committee, permafrost, Sea Ice on November 6, 2014 by RGS-IBG Managing Editor: Academic Publications. 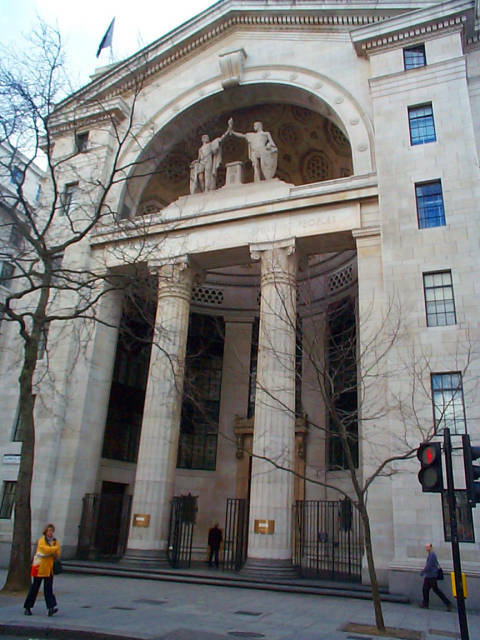 Bush House, London. Longtime home of the BBC World Service. © 2012 Wikimedia Commons. This year the BBC World Service, the oldest and largest international broadcaster in the world, celebrates its eightieth birthday. Founded in 1932 as the Empire Service, it has become a vital fixture in global news and information, available on FM, mediumwave, shortwave, longwave, satellite, and the internet. In many respects, the World Service has shaped Britain’s international persona and culture. Like the rest of the British Broadcasting Corporation (BBC), its editorial independence has repeatedly drawn the ire of British politicians and diplomats as well as the respect of millions of peoples, many of whom were (or remain) unable to obtain impartial news from their local services. In its storied history, both the World Service and the BBC have developed into explorative spaces for geographers, scholars, and activists. The Royal Geographical Society actively documented the roles the BBC played in geographic exploration and education. In one of the earliest BBC/RGS collaborations, the nascent broadcaster permitted portions of explorer and aviator George Binney’s commentary on Roald Amundsen’s 1925 Arctic flight to be reprinted with analysis in The Geographical Journal. The collaboration resulted in Amundsen’s feat being broadcasted across Europe and to be simultaneously disseminated by the RGS to the British imperial scholarly community. The 1925 work catalysed a series of intersections between RGS-IBG and BBC projects, reports, and activities throughout the twentieth century and into the twenty-first. In a 1955 discussion of geographical and social descriptions of domestic landscapes, A E Smailes resourced Michael Robbins’s BBC home service talks concerning the ‘anatomy of the countryside ‘(p. 100). The BBC also filled an important role for the geographer of the 1940s, 1950s, and 1960s: often, it was the only relatively reliable means of communicating with explorers traversing Earth’s extremes. In 1955, Commander C J W Simpson, DSC, of the Royal Navy, recounted in detail to the RGS, HM The Queen, and The Duke of Edinburgh his 1952-1954 expedition to the northern fringes of Danish-controlled Greenland. He led some thirty scientists and specialists on a major venture involving the RGS, the Royal Society, the RAF, Royal Navy, and Army, and the Scott Polar Research Institute (p. 276). The group traversed across the vast island, from Germania Land and Britannia Sø on the eastern coast to Thule near Canada (pp. 277-79). In a harrowing 1953-1954 Arctic winter, the BBC broadcast special messages each month; a collection of well-wishes from family, friends, and admirers of the British expeditionary effort (pp. 285-86). In 1958, designated the International Geophysical Year, the RGS described the role of the BBC in transmitting national and international solar weather warnings and praised UK engineers and scientists (p. 28). The BBC’s political and scientific roles were further explored in a 1966 article recounting the experiences of Charles Swithinbank, of the Scott Polar Research Institute, who spent a year living and working with Soviet specialists at Antarctic stations (p. 469). The men, despondent for news and culture from home, listened for updates from both the BBC World Service and Radio Moscow shortwave services in a rare moment of Cold War friendship. 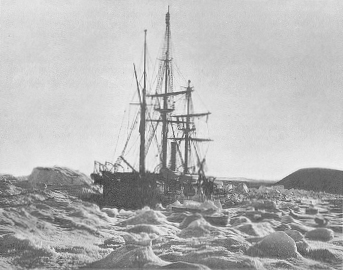 ‘Amundsen’s Polar Flight‘, The Geographical Journal 66.1 (Jul., 1925): 48-53. A E Smailes, ‘Some Reflections on the Geographical Description and Analysis of Townscapes‘, Transactions and Papers (Institute of British Geographers) 21 (1955): 99-115. C J W Simpson, ‘The British North Greenland Expedition‘, The Geographical Journal 121.3 (Sep., 1955): 274-89. D C Martin, ‘The International Geophysical Year‘, The Geographical Journal 124.1 (Mar., 1958): 18-29. Charles Swithinbank, ‘A Year with the Russians in Antarctica‘, The Geographical Journal 132.4 (Dec., 1966): 463-74. Also see Dudley Stamp and Vivian Fuch’s discussion here. This entry was posted in The Geographical Journal, Transactions of the Institute of British Geographers and tagged A E Smailes, Antarctic, Arctic, BBC, BBC World Service, C J W Simpson, Canada, Charles Swithinbank, cold war, Cultural Geography, Dudley Stamp, Empire Service, George Binney, Global Issues, Greenland, International Geophysical Year, Michael Robbins, Political Geography, Roald Amundsen, Scott Polar Research Institute, Social Geography, Soviet Union, Vivian Fuchs on May 7, 2012 by Benjamin Sacks. Being a geomorphologists at heart (which is the study of landscapes and the processes which shape the earth’s surface) I enjoy reading about the methods used to reconstruct past environments and geomorphic events. A detailed understanding of how the earth surface is being continuously shaped and why it looks the way it does are essential requirements for an evaluation of geomorphic processes and related changes in space and time. This is especially important in order to predict how climate change may potentially affect the frequency and volume of earth-surface processes. However, direct observations and evidence of past occurrences are scarce and data is patchy. It was, therefore, with some excitement that I read a recent news article on this subject which reports how information gleaned from sediment cores from the bottom of Lake El’gygytgyn in north-eastern Siberia have revealed the most continuous record of ancient climate ever extracted from the terrestrial Arctic. In addition, the samples also disclosed what happened 3.6 million years ago when a large meteorite struck the site when the area was warmer and forested. In contrast, today the area is a region of tundra and the crater generated by the meteorite has since filled with water to become the lake. For those of you keen to learn more about reconstructing past environments, it is recommended to read ‘What tree rings can tell us about earth-surface processes: Teaching the principals of dendrogeomorphology’ in ‘Geography Compass’ (2009). In their article, Stoffel and Bollschweiler provide a fascinating discussion of dendrochronology, or tree-ring analysis, which is one of the most precise and accurate methods for dating various geomorphic processes. This is because it allows scientists to define incidences with at least a yearly precision. As a result, dendrochronology has become the mainstay for Holocene (from 12,000 years ago to the present day) chronology reconstructions. The article provides an overview on how trees are affected by earth-surface processes, on how they are used in the analysis of geomorphic processes and on what they can reveal about the occurrence and evolution of geomorphic processes in time and space. This entry was posted in Geography Compass and tagged Arctic, Bollschweiler, Climatology, dendrochronology, dendrogeomorphology, Geography Compass, Geomorphology, Lake El’gygytgyn, Siberia, Stoffel on November 3, 2010 by Inselberg.